The quiet town of Providence, Kentucky, becomes part of a surge in organized crime in Crowell’s (A Few Caves and Cavers of the Southeast, 2016, etc.) historical mystery, based partly on true events. Jim Crowell, the owner of the local gas station, often goes down to the old trout pond to meditate and catch dinner for his family. One November day in 1950, his habitual visit is cut short when he catches sight of a body floating in the water. 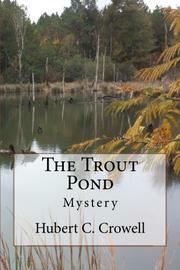 As the Providence police try to make sense of the murder, Jim’s luck doesn’t improve; in short order, he’s robbed at knifepoint near the pond and, on a different fishing trip, he spots another corpse. As it turns out, the FBI is already in town, hunting for the members of a gang that planned and executed the infamous Great Brink’s Robbery in Boston. Ron Smith has just moved to Providence to lay low with the stolen money, while his brother, Big Ferdinand, waits in Massachusetts. Ron misses his old life, but he adapts easily to his new circumstances: he quickly picks up arson jobs from the United Mine Workers of America union, which is targeting local, non-union mines. As the feds work to bring Ron to their side to testify against his fellow gang members, Big Ferdinand becomes interested in stopping Ron’s testimony—whatever way he can. The novel’s plot initially draws on just a handful of historical events, but as the narrative continues, things begin to pile up in convoluted ways: an increasing number of crime syndicates becomes involved, Ron finds his way to Korea, and a great trial is held for the Brink’s gang members. The attempt to connect the local history of Providence to national events is an intriguing idea. However, the author doesn’t manage to effectively bring it off, as the overstuffed plot and furious pacing make it difficult to tell what (or who) is actually important to the story. Often, when a surprising or traumatic event occurs, the characters oddly take it in stride; for example, when Ron’s accomplice, Fred, is shot, he immediately limps home—there’s no description of Fred’s pain or struggle, and the gunshot wound is never brought up again. Historical fiction that unsuccessfully tries to tie its grand-scale vision to a small-town focus.